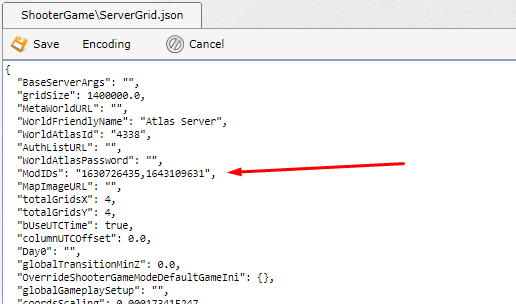 Atlas Mods automatically install/update on server startup. Obtain the list of mods you wish to add to your server from the workshop page. The server will hang around the 60mb RAM mark while the mods install/update, after which the server will come online fully.